The reason to buy this is if you are need large amounts of storage on a SCSI based system or you want a drive large than 137GB's on your IDE based system. As you know ATA drives are dirt cheap and a 20GB is usually way less than a $100. These are also great for Rev. 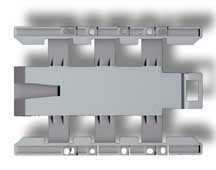 1 Blue & White systems, allowing you to properly install larger faster multiple drives. These are used tested cards. Sonnet Tempo Ultra ATA133 expands your mass storage options beyond SCSI to larger, faster, and more affordable Ultra ATA133 fixed media drives. Install the Sonnet Tempo into any available PCI slot and connect up to four internal Ultra ATA133 drives (cable for two drives included, removable media not supported)*. With the wide range of low-cost, high-capacity ATA hard drives available today, there is no better time to take advantage of Sonnet's superior quality ATA133 PCI card to enhance the capabilities of your Macintosh. Sonnet's Tempo card enables you to do it economically and Simply Fast. OSX compatible. Sonnet offers a 3-year limited warranty and free technical support on all its products. THIS UNIT FITS: Power Mac 4400, 6400, 6500, 7200, 7220, 7300, 7500, 7600, 8200, 8500, 8515, 8600, 9500, 9515, 9600, G3 All-in-one, Blue & White, Desktop, Minitower, Server, Power Macintosh G4, Performa Series 64xx, Workgroup Server 7250, 7350, 8550, 9650, Daystar Genesis and Millennium Series, Mactell XB-Pro, Power Computing PowerBase, PowerCenter, PowerCenter Pro, PowerCurve, PowerTower, PowerTower Pro, PowerWave, StarMax 3000, 4000, 5000, 5500, UMAX C500, C600, C600X, J700, S900. Our price $79.77 includes domestic shipping. Iomega Zip 100 mb Internal EIDE Zip Drive -Black- Refurbished! Used Name Brand Hard Drives (Quantum, Seagate, Maxtor, Western Digital, etc.) 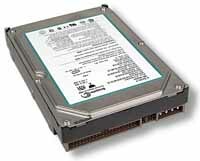 5400 RPM IDE 10 Gig Hard Drive-Apple Compatible Low Profile! 1/3rd Height fits most all IDE applications. Drives are refurbished using our Dept. of Defense formatter that thoroughly tests the unit. Our $24.77 includes shipping. IDE drives only fit some Mac models. Check before ordering. Quantity discounts available, call. Price Reduced! 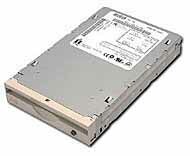 Used Name Brand Hard Drives (Quantum, Seagate, Maxtor, Western Digital, etc.) 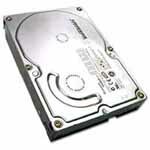 5400 RPM IDE 20 Gig Hard Drive-Apple Compatible Low Profile! 1/3rd Height fits most all IDE applications. Drives are refurbished using our Dept. of Defense formatter that thoroughly tests the unit. SPECIAL $34.77 includes shipping. IDE drives only fit some Mac models. Check before ordering. Limited quantities, order now. Iomega Zip 250 mb Internal EIDE Beige Zip Drive - works with 100 MB disks! Refurbished! We're overstocked in Beige! These READ & WRITE both the 250 MB and the 100 MB Zip Disks! Upgrade now! Replace your old 100 MB Zip with the high capacity 250 MB units. Internal Zip 250 MB ATAPI drive (for IDE bus). BEIGE colored, most installations only show the door. Perfect replacement mechanism, fully cleaned and tested. Why put up with erratic or bad performance, replace your old Zip with one that functions perfectly! Used, cleaned and tested pulls. Includes Kitchen Sink CD with latest drivers. Old Sale Price $39.77 Closeout $19.77 includes your shipping! Iomega Zip 100 mb Internal EIDE Zip Drive -Beige- Refurbished! We're overstocked you save! Beige front Internal Zip 100MB ATAPI drive. Perfect replacement mechanism, fully cleaned and rigorously tested. Why put up with erratic or bad performance, replace your old Zip with one that functions perfectly! Includes Kitchen Sink CD ($9.99 value) with latest drivers. Was $49.77 Now $30.00 includes your shipping! Iomega Zip 250 mb Internal EIDE Zip Drive - works with 100 MB disks! Refurbished! These READ & WRITE both the 250 MB and the 100 MB Zip Disks! Upgrade now! Replace your old 100 MB Zip with the high capacity 250 MB units. Internal Zip 250 MB ATAPI drive (for IDE bus). Graphite colored, most installations only show the door. Perfect replacement mechanism, fully cleaned and tested. Why put up with erratic or bad performance, replace your old Zip with one that functions perfectly! Used, cleaned and tested pulls. Includes Kitchen Sink CD with latest drivers. Was $79.77 SALE $34.77 includes your shipping! Factory Refurb Seagate Barracuda 160 GB IDE Hard Drive is a member of the Seagate 3.5-inch family of high-capacity desktop drives targeted at mainstream and high-performance computers and advanced storage applications. This one features include UDMA/100 data transfers, FAST 7200 RPM spindle speed, and a 2 MB Cache provides high performance with increased data bursting through the interface. SUPER QUIET drive is almost inaudible. Difference between idle and seek can hardly be detected by human ear, making drive operation almost silent. REQUIRES: QuickSilver 2002 (4.33 or later firmware), Mirror Drive Door, iMac G4 or later. These WILL NOT WORK in the earlier G3 and G4 systems without a special card. Bare Drive, will format on request. Our $49.77 includes shipping. Name Brand 320 GB IDE Hard Drives, refurbished and thoroughly tested. These include UDMA/100 data transfers, FAST 7200 RPM spindle speed, and a 16 MB Cache provides high performance with increased data bursting through the interface. REQUIRES: QuickSilver 2002 (4.33 or later firmware), Mirror Drive Door, iMac G4 or later. These WILL NOT WORK in the earlier G3 and G4 systems without a special card. Bare Drive, will format on request. Special Sale $69.77 includes shipping. Call to check availability.